Most organic vegetable gardeners are aware of the benefits of having compost pile. Adding kitchen scraps to a bin or mound of decaying plant matter gives the perfect mix of green brown matter to make a compost pile work well. But what can you do if you don’t have the time or space for composting in the traditional way? This is where trench composting is your friend. Vegetable gardening is greatly enhanced with the addition of organic matter around your veggies. This nourishes both the soil and the plants, resulting in healthier plants and higher yields from your crop. But a compost pile takes up a lot of room in the garden and many communities won’t allow them. This is where trench composting comes into play. I love to experiment with different types of composting. See my article on planting in compost. The results may surprise you! No room or time for a compost pile? Try Trench Composting! 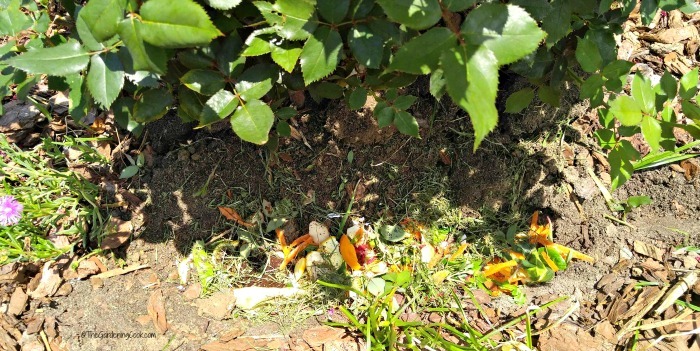 A compost pile will end up producing what gardeners often call “black gold.” This is the end result of weeks of decomposing plant and food matter that makes a soil like material that is perfect for enriching bad soil, or adding to planted areas to end up with better flowers, shrubs and vegetables. But many people don’t have the space to have a compost pile, and many municipalities will now allow them. If this is the case for you, trench composting, can work. For trench composting, you dig a trench (or large hole) about 12 inches deep, add in 4 to 6 inches of materials that will decompose, such as kitchen scraps, grass clippings, plant prunings, and weeds (without seeds). Once the trench has the materials in it, cover it will soil to fill the hole. In a few weeks, your soil will be nicely amended with broken down organic and food waste. There are lots of benefits to trench composting over normal composting. The size of the trench does not really matter. You can dig entire rows of trenches between rows of plants. This would be ideal for a vegetable garden which is often grown in rows. Another way to trench compost is to “dig and drop.” Just dig a hole near a plant that will benefit from some composted material and drop your prunings and kitchen scraps in it. This is ideal for those that have organic material sporadically instead of on a daily basis. Kitchen Scraps for Trench Composting. Most kitchen scraps can be used for trench composting. But stay clear of meat, bones, and fats. All of these attract critters who will dig to get to them. For a list of other things that you should not compost, see this article. These are some of my favorite kitchen scraps to use for trench composting. Egg shells. 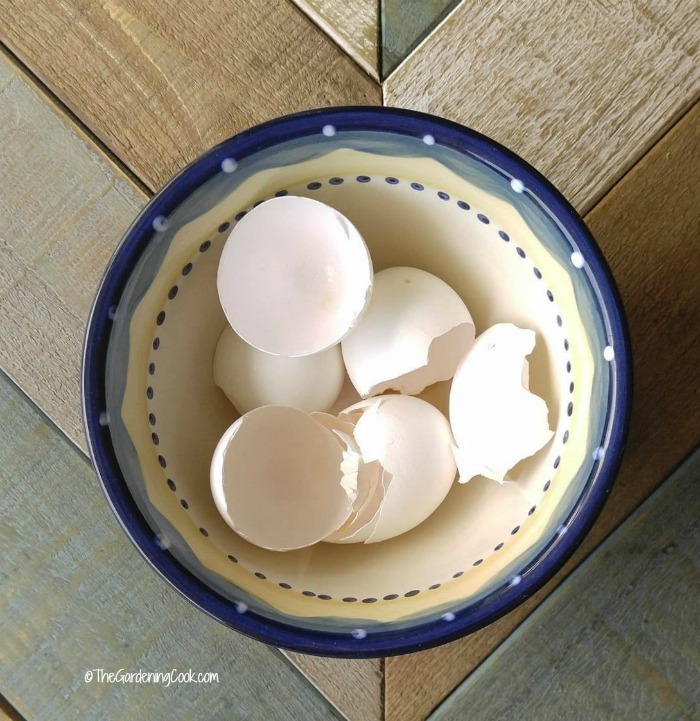 The next time you have a big breakfast, or go on a baking spree, don’t throw those eggshells away. Save them. Just wash the shells out and allow them to dry near a sunny window sill. Once dry, they will crush very easily. Crushed egg shells improve the drainage of the soil and they add calcium to the soil, which helps to promote plant grown and also prevents blossom end rot in tomatoes. Egg shells can also be added to the top of the soil and used as a deterrent to slugs and snails. They are great for spreading around your hosta plants. Egg shells and coffee grounds can also be combined to make “compost tea” to fertilize your plants. See the recipe and other plant fertilizer recipes here. Banana Peels. Cut the skins into small pieces so that they will decompose faster. Once the skins have broken down, they add calcium, magnesium, potassium and other nutrients to the soil. Bananas break down more quickly than some other kitchen scraps, which means the organic matter is useful more quickly. I have heard that aphids do not like banana peels, so burying pieces of them around roses might be useful. (I’ve never tried this but would love to know if someone has and found that it works.) 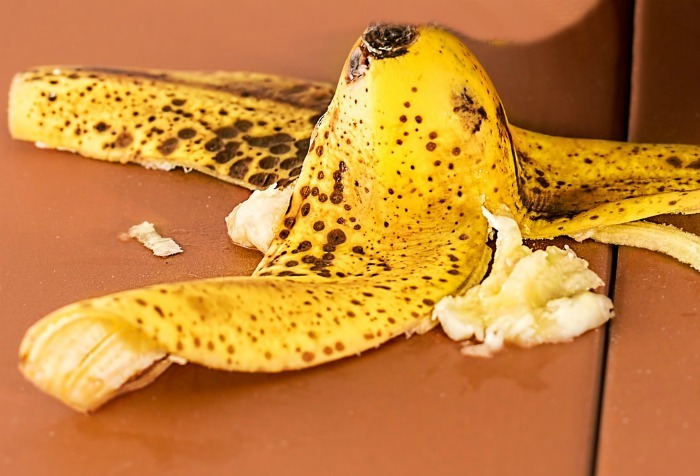 For more uses for banana peels, see this article. Coffee Grounds. Used coffee grounds are a great addition both to the top of the soil and also as part of other ingredients in trench composting. Acid loving plants like roses, blueberries, azaleas and hydrangeas will benefit from fresh coffee grounds. 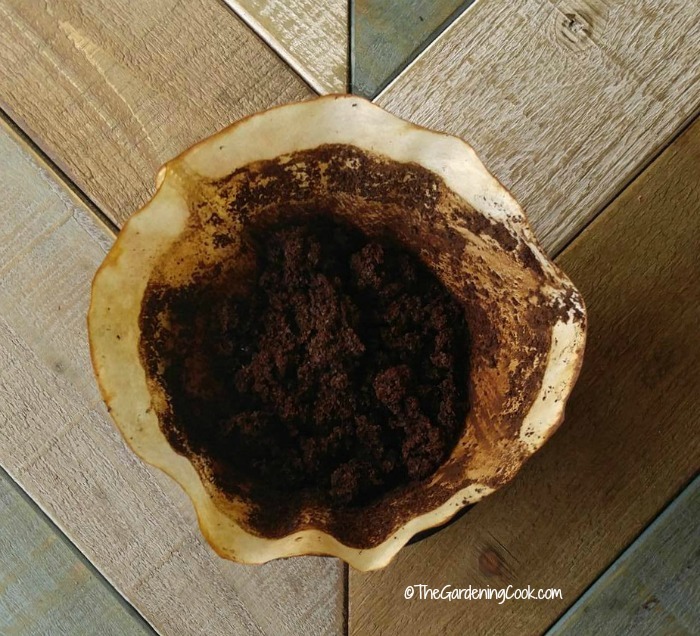 Used coffee grounds can also be used as a form or mulch around plants and will detract slugs and snails in the same way as eggshells do, but more from the smell than the texture. Another benefit of used coffee grounds is that they attract earthworms, which are beneficial in any soil. 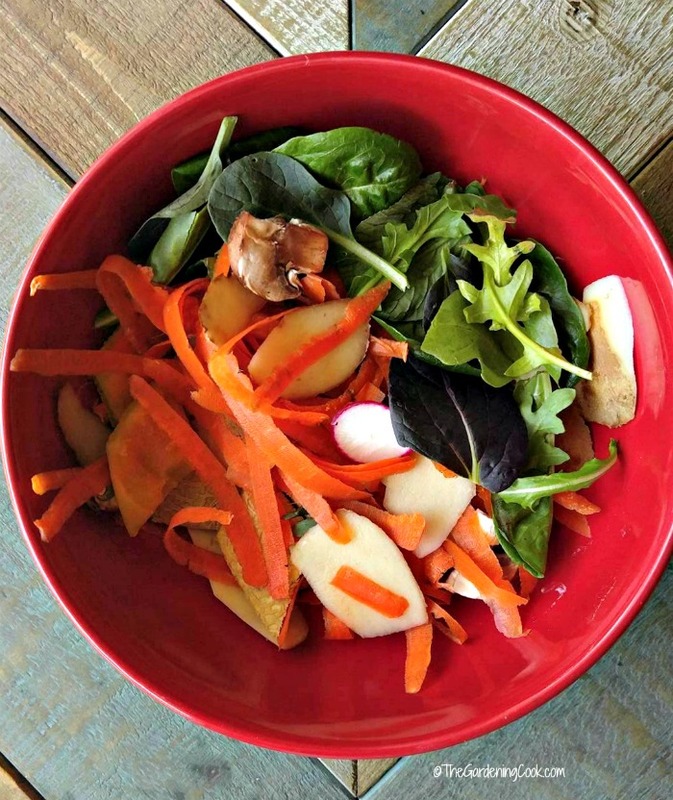 Vegetable Peelings and scrapings and salad greens. I like to use left over salad greens (without salad dressing) and vegetable peelings and scrapings in trench composting because of their size. There is no further cutting down of them and they will decompose very quickly. 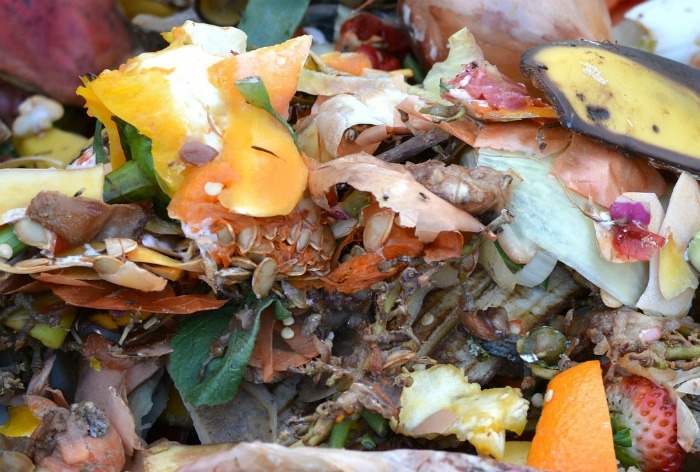 Plus, this type of kitchen refuse is plentiful and can be added almost on a daily basis. Why send it to the landfill when it can be used so easily and effectively in trench composting? 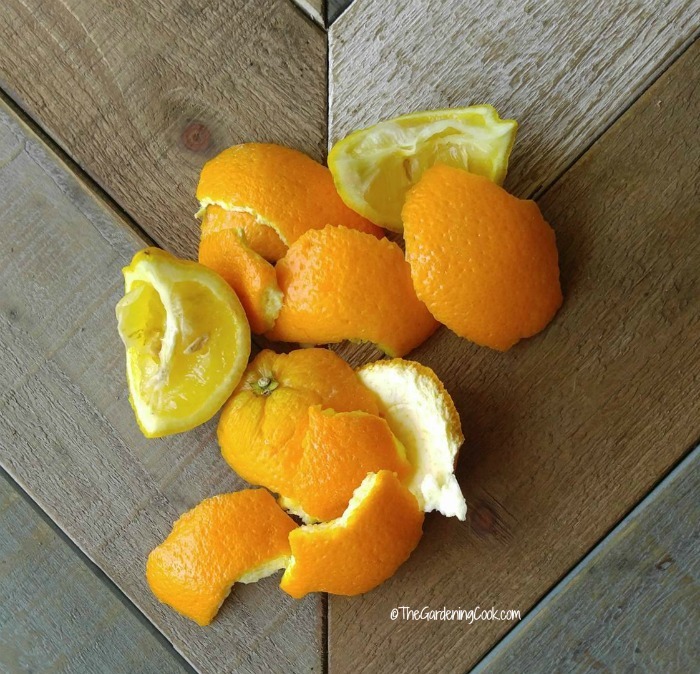 Citrus peels. Do you have a cat that likes to eat your favorite plants? Used cut up citrus peelings buried in the trench, or scattered around the soil near the plants. Most cats dislike the smell of citrus so they will steer clear. Trench composting as a means of crop rotation. For those of you who have large vegetable gardens that are always grown in rows, trench composting is a wonderful way to rotate your crops. In the first year, dig a trench beside your row of growing vegetables, add kitchen and garden refuse and cover with soil. At the end of the season, dig the trench again and throw in all the left over organic matter. The following year, shift the rows over so that you are planting where the decaying matter was place, and plant your vegetables on top of the trench rows. Repeat each year. Your vegetables will love you for this method! 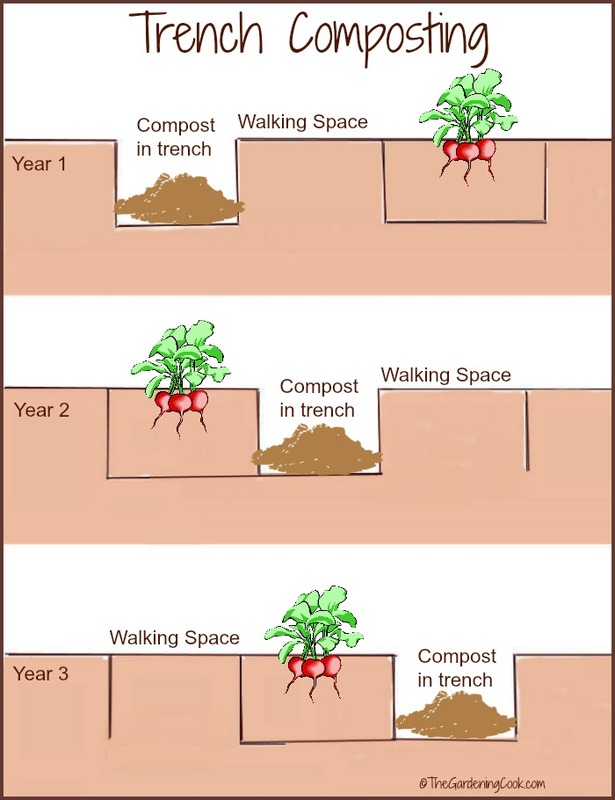 This graphic shows trench composting used effectively in rows. Have you ever tried spot composting or trench composting? Let us know in the comments what works for you. Everyday I produce scraps from my kitchen…..my question is can I just bury it all in an unused garden bed (not in rows) and just keep adding to it at least weekly?? Or should I dig holes in unused parts of my yard and dig up the could stuff when it’s decomposed and move it into my garden beds later?? Hi Clare. Both would work. I do sort of spot composting. I just dig a hole near plants that have not had compost added recently and place the kitchen scraps in there. They decompose and add to the soil and help the plant. I’ve also done a lasagne style bed. (brush, weeds, cardboard, kitchen scraps, etc in layers and leave it to decompose) and then plant in it later. It’s my first time to compost , do you have more ideas for beginnerss like me. Great article. I love reading it.